1.) If a ≠ 1 divide both sides by a. 2.) Rewrite the equation so that both terms containing variables are on one side of the equation and the constant is on the other. 3.) Take half of the coefficient of x and square it. 4.) Add the square to both sides. 5.) One side should now be a perfect square trinomial. Write it as the square of a binomial. 6.) Use the square root property to complete the solution. Example 1. 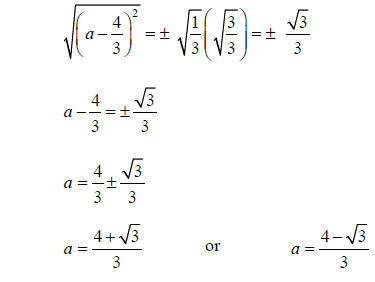 Solve 2a2 – 4a – 5 = 0 by completing the square. Example 2. 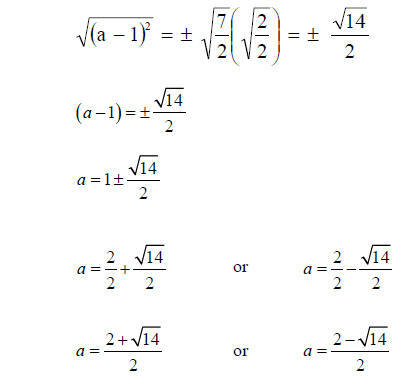 Solve 9a2– 24a = -13 by completing the square. Example 3. 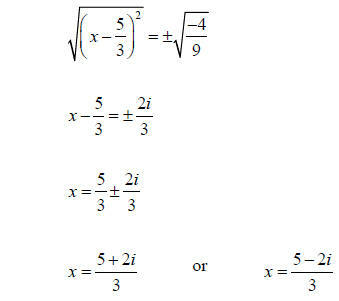 Solve 9x2 – 30x + 29 by completing the square.